During quarterly retail meetings that took place today, Apple announced a new ‘iBooks Discovery’ initiative that will see Apple Store employees provided with free iBooks beginning next week in order to prepare the retail workers for the launch of OS X Mavericks and iOS 7, reports 9to5Mac. While an iBooks app has been available on iOS devices since the debut of the original iPad in 2010, OS X Mavericks will mark the first instance of an iBooks app for the Mac. The Mavericks version of iBooks offers a number of features that will appeal to readers and students alike, including full screen reading capabilities, note taking functionality, and a feature that allows study cards to be automatically created from notes. With access to free ebooks, Apple Store employees will be able to familiarize themselves with both the iBookstore and the many features that iBooks offers, allowing the employees to answer customer questions and promote the apps and the new operating systems. Apple has also provided some of its employees with beta access to OS X Mavericks and recently, it sent out a memo asking its retail workers for innovative ideas on how to improve the iPhone, the retail store environment, and sales techniques. At a retail summit that took place in early July, Tim Cook announced plans to improve the in-store sales of iPhones, which are considered a “gateway product” to other Apple devices. As part of its push for greater sales, Apple has launched a new iPhone Back to School promotion and has plans for an in-store trade-in program for older devices. The company also plans to heavily market both iOS 7 and OS X Mavericks, which are expected to be released to the public this fall. Too late, went Kindle. Lots of us said so 3 years ago. iBooks are still crap compared to Amazon's offering. I can get Amazon Kindle books on virtually any platform - iOS, MacOS, Windows, Android, or from the web using the cloud player. iBooks are limited to iOS and only just now Mac. Plus, I can read the kindle books on an eInk display, which is easier on the eyes than LCD of iOS devices for extended reading. While an iBooks app has been available on iOS devices since the debut of the original iPad in 2010, OS X Mavericks will mark the first instance (https://www.macrumors.com/2013/06/10/apple-debuts-new-ibooks-and-maps-apps-for-the-mac/) of an iBooks app for the Mac. Good deal. I've been hoping/waiting for iBooks to be on the Mac since iBooks 2 was released. While I think that the iPad is a little nicer for mere reading, as a study tool, I can see where having the ability to interact with both a book and a real keyboard on the same device would be quite appealing. Should be an exciting few months coming up. Especially looking forward to Mavericks and some better multimonitor functionality. 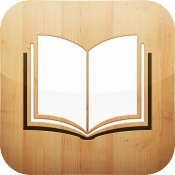 iBooks is a better piece of software than any of the Amazon Kindle readers. eInk is nice, and I like the lightness of an eInk Kindle, and the fact that I can toss it around and not really care if it gets scratched, being a pretty cheap device. I don't understand why it took this long to make iBooks seamless across Apple's ecosystem. I completely ignored the app because it wasn't multi-platform like Kindle. And why isn't Newsstand on Mavericks? Seems like a no-brainer. Can't wait to get my hands on the new OSX. iBooks are far more capable than Amazon Books. The iBook format allows for far more than can be displayed in Amazon Books or on eInk displays: videos, 3D renderings, etc. I think this is a very smart move for Apple. It seemed like something missing for iBooks to not be readable on Macs; this now sounds like a very smart way to purchase e-books. Until iBooks is freed from iOS, I will never purchase a book from that store. I prefer Kindle, Google Play and Nook because those are platform independent. I'm getting ready to cancel all my newstand subs for the same reason. I'm tired of being locked into Apple Hardware. I like it and I have all of Apple's stuff but I want the freedom to use it on my Nexus or other non-apple device. Based on what? Hopefully not page flip animations. Kindle IMO crushes iBooks, because it works absolutely everywhere. Frankly, I can't imagine why anyone at all would use iBooks.